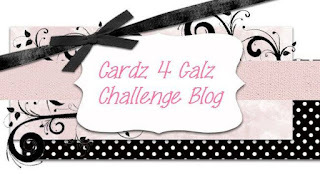 How excited am I today, as it's finally time for the first challenge at the new blog Cardz For Galz. The theme is 'Your Favorite Colour'. My favorite colour at the moment is pale pink, and I have made a CAS card, using a very old roller stamp from Stampin Up. I have stamped the pigs more than once so I could layer them up to add some depth to the card, which was actually for my Mum's birthday, as she adores pigs. 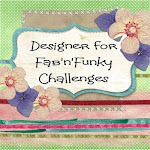 I hope you will hop on over to the main blog to check out the other DT creations and say Hi,or better still come and join in the fun. It is a darling birthday card, for your Mum, Sharon! Please add our photo, and link? Thanks from The Challenge! Hi Sharon, A brilliant card, I love the pink piggies. So excited the new blog has started. Thanks for your support. Caz. What an adorable image! Love those piggies! Oh gosh, this is just too cute! Love it! Thanks for playing along with us at Tuesday Throwdown Challenge. Eeeek! How cute are those little piggies, Sharon! Fabulous design and colours, Thanks for joining our “Clean & Simple” challenge at Tuesday Throwdown. What a fab design, Sharon - I love all those adorable little piggies in a row. Oh my, just too cute! 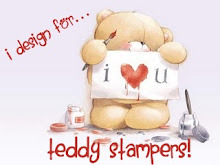 I've never seen that stamp but I love it! Thanks for playing The Challenge! How cute! Love the little line up of piglets. Thanks for joining us at The Challenge! So cute! Love the little lineup of piggies. Thanks for joining us at The Challenge! Ooooooh squweel! totally cute !! Thanks for joining us at The Challenge! ---please check out our NEW Sketch challenge tomorrow! Ha ha ha ! Such an adorable card! Love these cute pigs! Thank you for sharing at ATSM. Oh my - so, so cute! Thanks for joining in on my Amusing Challenges this week! Your little piglets are totally darling! Smiling all over my face! Thrilled to see you in the ATSM gallery!